Healthcare reviews are the best way to gain trust and new patients. Are you using your healthcare reviews to their fullest potential? In today’s healthcare market, patients have more and more options in choosing healthcare providers and consider a wide range of factors in making decisions. Your healthcare marketing efforts have to include diverse streams and outside-the-box solutions. 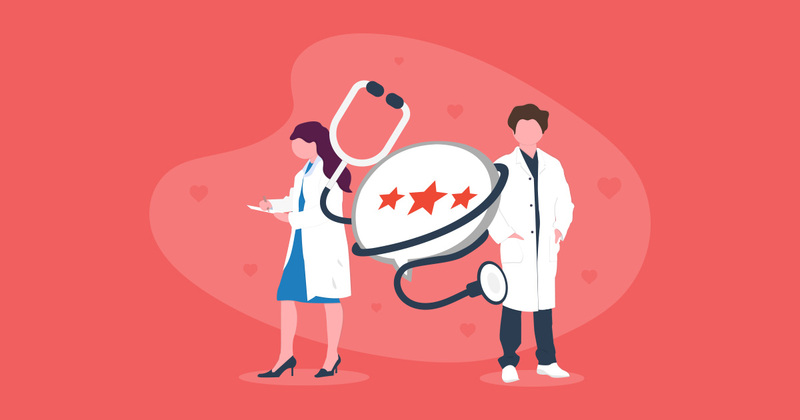 One way to gain marketing traction, boost your credibility, and provide social proof is through client/patient reviews. Now, more than ever, patients and healthcare clients have more options. Even insurance companies that require a referral provide options for patients to choose from. Anyone looking to find the right physician will seek out information about them from a trusted source – friends, family, and those who have benefited from a particular practitioner or practice. The many massage therapists, chiropractors, acupuncturists, and other medical practitioners make it both easier to find a provider (as there are so many) and at the same time more difficult (who do you choose?). With so many options available, healthcare marketing is key. One of the first things that someone does when looking for a new healthcare provider is to seek the input of others and search the internet. 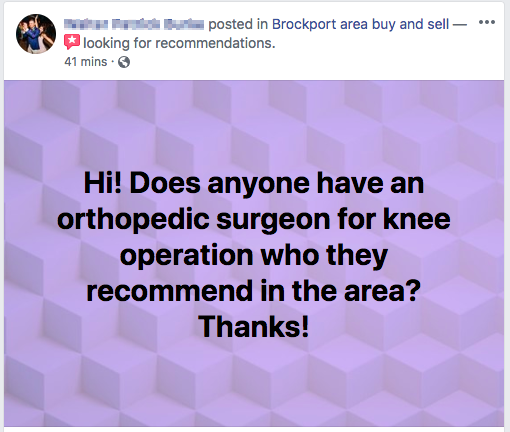 Whether you’re looking for a surgeon for a knee replacement, a chiropractor, or an obstetrician, the experiences of others carry a lot of weight. People don’t want to go to a surgeon whose past surgeries have had questionable outcomes, whose bedside manner is intimidating, or who never even see their patients until the day of surgery. They want a practitioner who displays confidence, skill, and attentiveness. In this light, reviews carry a lot of weight. The opinions of others and learning about their experiences matter. As a patient or healthcare client, your body is literally in the hands of the provider, so trust is of the utmost importance. Massage therapists typically are alone with a client in a darkened room for an hour while the client is unclothed and under a sheet and a stranger touches them. Chiropractors manipulate patients’ muscles and bones. Surgeons use a scalpel to cut into a patient’s muscle and organs directly. OBGYNs and midwives hold a newborn child before the parents do. Acupuncturists place a multitude of needles in a patient’s body. In any area of healthcare, trust is important. Without trust, the outcome of any procedure can be affected. Making your reviews accessible to people can go a long way. What About HIPPA and Patient Privacy/Confidentiality? 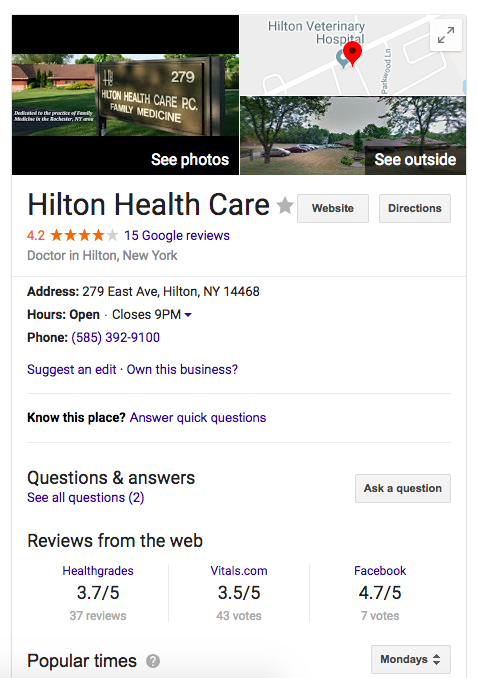 Using patient/client reviews is not a HIPPA conflict and doesn’t violate patient privacy or confidentiality since the patient created the review in a public forum like Facebook, Google, Yelp. Reusing that content on your site doesn’t violate any legal or ethical boundaries. However, it is beneficial to reduce the appearance of impropriety, even where there is none. We suggest editing your imported reviews in the Single Reviews view of your WP Business Reviews dashboard. Either of the following options will help anonymize the patient’s identity. By using abbreviations or name replacements, potential patients and clients won’t worry about your practice sharing any of their personal information (although we know you never would). As we’ve said before, whether or not you realize you have online reviews, you most likely already do. It’s important to know what is being said about your practice online, and respond accordingly. To do that, claim your business listings. Unclaimed healthcare office with reviews. Once your listings have been claimed, you can use WP Business Reviews to build a reviews and testimonials page on your website. Use a carousel to display a collection across your homepage. Place a shortcode for a collection list in a sidebar widget. Use a gallery on a page dedicated to reviews and testimonials. Don’t forget to add the page to your site menu. However you choose to display your reviews on your website, WP Business Reviews can help. Import reviews from Google Business, Yelp, and Facebook. Use the filter to showcase the best customer experiences. Create collections that highlight different parts of your practice to show where you shine. Then, let your satisfied patients help market your practice through the kindness of their reviews! Do You Have a Reviews Page Set Up? We want to see it! Share it with us. Send the link to us at customers@wpbusinessreviews.com so we can see it!